This palette came into my life in early 2015 and it fast became my favourite. I love that it contains such a variety of wearable everyday colours from mattes to shimmers, and the fact they’re mainly warm colours just makes my soul happy, warm shadows are the way to my heart. I often get asked if I’d recommend this to the Urban Decay Naked palettes, and yes I 100% do. I’ve worn this blush way more than I really should have this year, and when I post a makeup look on Instagram I’m usually wearing this so writing it in the caption gets a bit boring, people probably assume I only own the one blush – little do they know I have a stash of more blushes than any one human needs. Dainty is such a pretty wearable pink shade that just works so well on my light (NW15) skin, it lasts all day and just gives such a natural pop of colour. I put off buying the Beauty Blender for so many years because I just couldn’t part with £16 for a sponge, but oh how this little beauty has changed my life since I finally caved into the hype. The Beauty Blender is so different to any other sponge I’ve tried because it just blends any product into the skin so beautifully, whether it’s creams, liquids or even powders, creating the perfect base is a breeze with this – I can’t recommend it enough! I’ve repurchased this concealer about 10 times now (Mr Nars must love me and my money) and it’s just incredible. I’ve never found a concealer that works well under the eyes as well as on blemishes, but this beauty does! It’s not too heavy, looks natural on the skin and provides brilliant coverage, I freakin love it. So I didn’t realise I’d actually mentioned two concealers in this post, but hey here we are with another one! This little gem from Kevyn Aucoin is the most pigmented face product that I’ve ever come across, even more than the Nars. It’s some pretty heavy duty stuff and covers anything you need it to, even my tattoos, yet somehow doesn’t look thick or caked on the skin. Although it comes with a rather expensive price tag, you only need the smallest amount so this is going to last ages so it justifies the price. I tried getting my hands on this lipstick for months and oh my sweet jesus was it worth the wait. I’ve never really been a fan of liquid lipsticks but after hearing such great reviews on this beautiful shade I obviously had to try it… it’s converted me! The formula of the Jeffree Star liquid lipsticks is like no other, it isn’t drying, feels so lightweight on the lips and lasts forever, literally forever! I need to get my hands on more colours, Jeffree has so beauty beautiful and unique shades to offer. So I talk about this mascara way too often on my blog so I won’t drag this one out, but how could I not mention this mascara in my end of year favourites? The Lash Sensational is my all time favourite mascara out of all the ones I’ve tried, and trust me I’ve tried a fair few! It adds length and volume to my stubby little lashes, doesn’t smudge or run and just ticks every box. I’ve repurchased this brow pencil a few times now and it’s the best one I’ve ever found. I’ve tried to find more affordable options but nothing will ever compare to this. It’s so easy to use, defines the brows and gives a natural yet full looking effect to my overly plucked as a teen brows. It’s a 10/10 from me! These lashes are my all time favourites and I wear them all the time. I have rather small hooded eyes so a lot of lashes can be too overpowering and make my eyes look even smaller but these don’t. These lashes are perfect, they add length and volume to my lashes whilst looking natural and I forget I’m even wearing them because they feel so light. These lashes are perfect for those who want natural yet lengthened beautiful fluttery lashes. Barry M are one of my favourite nail polish brands, and cappuccino has to be my favourite colour they have to offer. It’s a wearable purple taupe that can be worn alone or looks beautiful under glitters, my favourite to pair with this is Rimmel Disco Diva, the pair look incredible together. Cleansing balms are my favourite type of makeup removers and this one is the best I’ve tried. It cleanses the skin so well leaving it feeling smooth, clean and looking so much better. Over time I’ve noticed a big improvement in the texture and appearance of my skin which is down to this cleansing balm. Although it’s on the pricey side, it’s worth every penny and I can’t be without this. 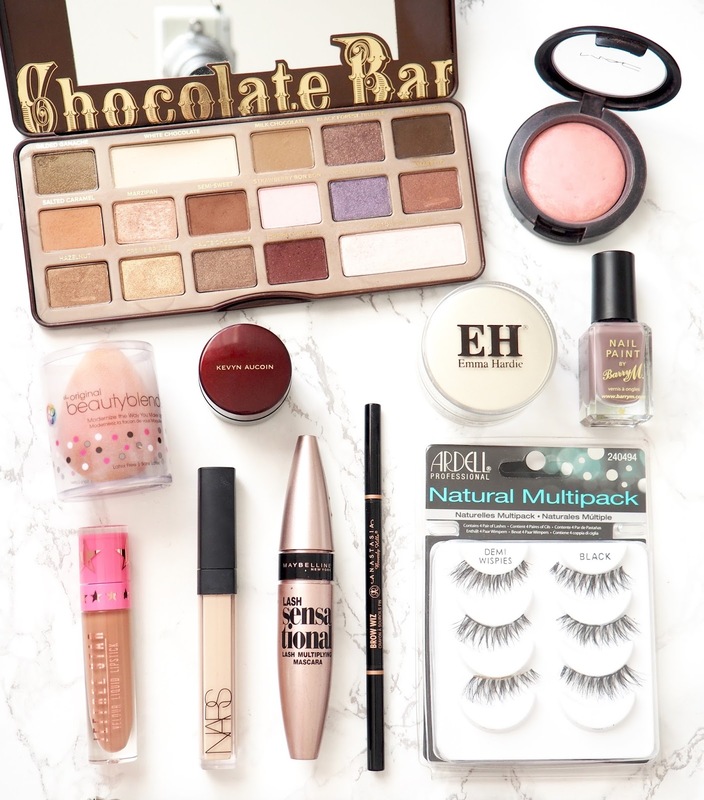 So those are all the products I’ve been loving through 2015, what’s been your 2015 favourite?